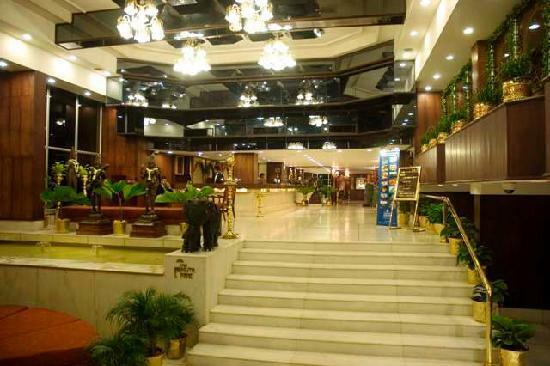 The South Park International Hotel is located in Thiruvananthapuram a Capital city of Kerala. One of the foremost four star Hotel comes with good interior and it is fully furnished with good part of traditional style. The South Park is located 6 Kilo meters from Trivandrum airport and 3Kms from railway station. Thrivanthapuram is a best sea side city built on seven hills. The Famous Shri Padmanaba Swami Temple is located nearer to Thiruvananthapuram also city of monuments such as Napier museum, Kowdiar Palace and Sri Chitra art gallery also found nearer to South Park. The South Park International Hotel is mostly liked by many peoples and it is fully furnished with great values. The Interior and exterior are good enough. Here in South Park International Hotel is mainly for tourist those who visiting Trivandrum to enjoy the beauty of Kerala. Car Hiring is also available for guest to visit some tourist spots around South Park International Hotel Doctor-on-call facility also available for guests. The South Park International Hotel is of fully furnished A/c and Non A/c Rooms with well-equipped interior. There are 28 A/c room and Non A/c rooms available in South Park International Hotel. This the Multi cuisine restaurant and guests can dine in at moderate rates. Almost all the facilities are available in South Park International Hotel and we don't want to search for any of our needs outside. The South Park International Hotel is with Multi Cuisine Restaurant Provided with good quality of foods and service. Here the South Park International Hotel is of fully furnished A/c and Non A/c Rooms with well-equipped interior. All are A/c room and Non A/c rooms available in South Park International Hotel. This the Multi cuisine restaurant and guests can dine in at moderate rates. The restaurant is of Chinese, Indian and International Traditional standard of foods and Beverages are also available. Corporate is also facilitated with board room and two state of art conference rooms with a capacity of 100 Seats. The Airport and Rail Station Are not for to get into Hotel Lucia International and it takes some minutes to check in with it and the hotel is good enough for some budget seekers and for that reason it is good in its standard. All Types of cards are accepted here and you can also book your rooms through online. Why are you waiting for? Rush and enjoy the holiday in a budget Rate. Park Chambers and Suites are included with complimentary Breakfast. Check out Time is 12 Noon.